Washington, DC – As the clock winds down on the 114th Congress, U.S. Senate leaders have informed disability advocates that the Convention on the Rights of Persons of Persons with Disabilities will not be put to a vote because the treaty doesn’t have enough support in the chamber. “It’s pitiful that once again, the U.S. Senate can’t come together and support a disability rights treaty that simply affirms our nation’s support for people across the globe who seek the same rights we enjoy here in the United States. Over 800 disability, civil rights, and faith groups support ratification of the treaty, representing countless people across the country. But this tidal wave of support has not swayed those in the Senate whose objections to this treaty have been proven false to support this cause. The Arc will continue our advocacy on this issue when Congress reconvenes in January,” said Peter Berns, CEO of The Arc. The Arc has been working with numerous other disability advocacy groups and U.S. Senators to garner support for the ratification of this treaty, which will promote, protect, and ensure the full and equal enjoyment of all human rights and fundamental freedoms by all persons with disabilities. The treaty is modeled after the Americans with Disabilities Act, which affirms the rights of American citizens with disabilities by prohibiting discrimination in employment, public services, public accommodations and services operated by private entities. For years, The Arc’s Public Policy team and grassroots advocates across the country have been working to promote the CRPD and ensure ratification. The United States signed the CRPD on July 30, 2009, joining the 141 other signing nations. Today, the Convention has 151 ratifications and 159 signatures. On May 17, 2012, following almost three years of thorough review, the Obama Administration submitted its treaty package to the U.S. Senate for its advice and consent for ratification. Senator Bob Dole, who was a champion of the Americans with Disabilities Act, was present for the last attempt to vote on the treaty in December 2012 and urged his fellow Republicans to support it. Unfortunately, his plea along with strong Congressional and disability community support was not enough to overcome the unfounded fears raised by the opposition. 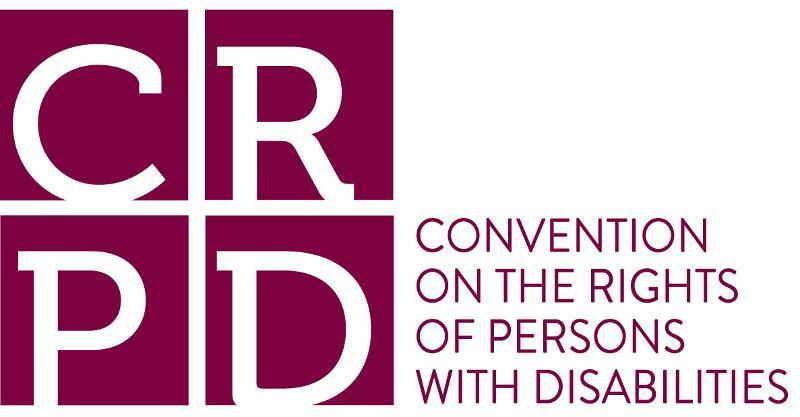 Washington, DC – The Arc released the following statement in response to the U.S. Senate’s defeat of the United Nations Convention on the Rights of Persons with Disabilities (CRPD). “This is a sad day for individuals with disabilities across the globe. The simple truth is that the Convention on the Rights of Persons with Disabilities would help individuals with disabilities around the world obtain the rights and protections we have here in the United States. The ratification of this treaty would have unified us with millions of disability advocates, family members, and self-advocates of all nations. This isn’t the end of this fight – advocates across our country will continue to work to make sure that our friends and colleagues abroad know that we stand with them and share their goals,” said Peter Berns, CEO of The Arc. The Arc has been working with numerous other disability advocacy groups and U.S. Senators to garner support for the ratification of this treaty, which will promote, protect, and ensure the full and equal enjoyment of all human rights and fundamental freedoms by all persons with disabilities. For months, The Arc’s Public Policy team and grassroots advocates across the country have been working to promote the CRPD and ensure ratification. And in October 2012, The Arc hosted its annual convention in Washington, DC with Inclusion International, a global federation of family-based organizations advocating for the human rights of people with intellectual disabilities worldwide. A major focus of the conference was the vital importance of the CRPD and the release of Inclusion International’s Global Report on the Right to Live and Be Included in the Community. The United States signed the CRPD on July 30, 2009, joining the 141 other signing nations. As of June 2012, the Convention had 113 ratifications and 153 signatures. On May 17, 2012, following almost three years of thorough review, the Obama Administration submitted its treaty package to the U.S. Senate for its advice and consent for ratification. Over 165 disability rights organizations and 21 veterans’ service organizations support ratification of the treaty. Senator Bob Dole, who was a champion of the Americans with Disabilities Act, was present for the vote and urged his fellow Republicans to vote in favor of the treaty. Unfortunately, his plea along with strong Congressional and disability community support was not enough to overcome the unfounded fears raised by the opposition.